Refinancing both your first and second mortgages will result in one low monthly payment that could save you thousands in interest charges. 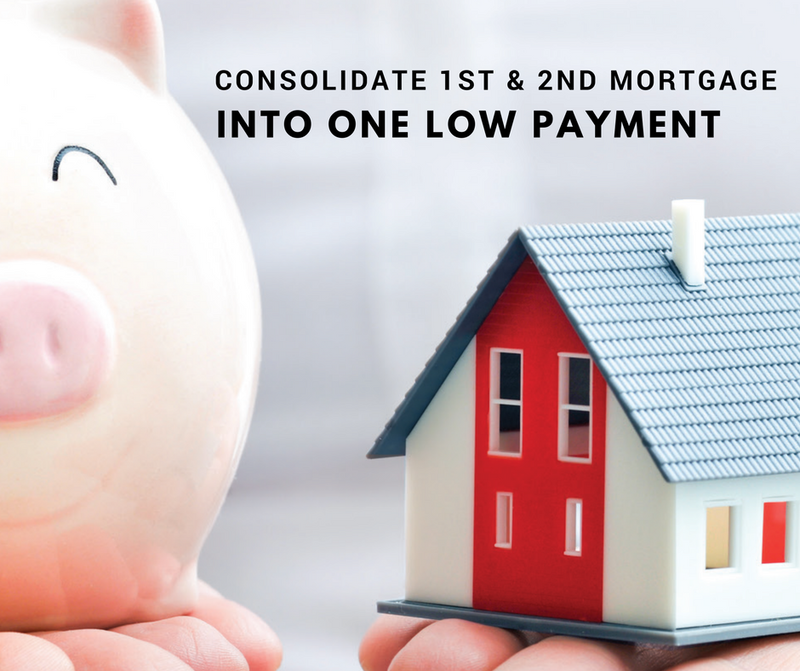 By combining both mortgages, you qualify for lower rates than if you refinance separately. You can see significant savings with your second mortgage refinance, which is often several points higher than your first mortgage rates. You will also save on application fees and other closing costs. You have a couple of options to lower your mortgage payment when refinancing. The first choice is to find a low rate mortgage. So even if you choose the same length of your loan, you will still see savings on your monthly mortgage bill. Adjustable rate and interest only loans will give you the lowest payments, at least at the beginning of your home loan. But a fixed rate loan can also give you reasonable rates with security that they won’t rise in the future. The other option is to extend your loan term, especially in the case of your second mortgage which usually is for five to ten years. By consolidating your loans into a thirty-year loan, you lengthen your payment schedule on the principal balance, so you have a smaller payment. However, your interest rate and charges will be higher than with a shorter term. But if you are planning to move or refinance again in the future, then be wary of paying high closing costs. Even if they secure you a lower rate, you will only see savings if you keep the mortgage for several years. Don’t base your lender decision based on posted loan rates. Ask Lend Plus for a personalized loan quote based on your general information. With more accurate numbers, you can make an informed choice as to who has the best financing for you. Click here to get your personalized loan quote Today!